The river Imera running close to Himera gave the town its name. The Greeks coming from Messina (called Zankle in the Antiquity) founded this first colony in the area at the mouth of the river between Palermo (then Panormus) and Cefalù (then Cephaloedium). In those times it made a well-placed stronghold as the Carthaginians were close and had spread their power over the west side. 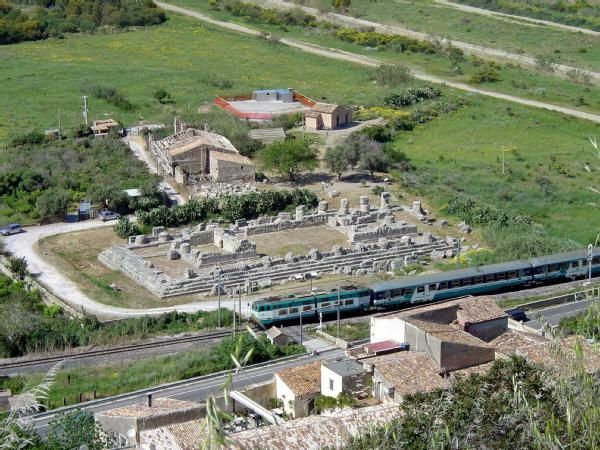 In 480 BC the battle between the allied armies of Theron of Agrigento and Gelon of Syracuse against Hamilcar at the front of the enormous Carthaginian army took place in Himera. After his defeat, Hamilcar self immolated by throwing himself over the funeral pyre. It finished the quest of Carthage of taking power of Sicily. In 409 BC Hannibal, Hamilcar’s nephew revenged Hamilcar’ s death by crushing Himera. 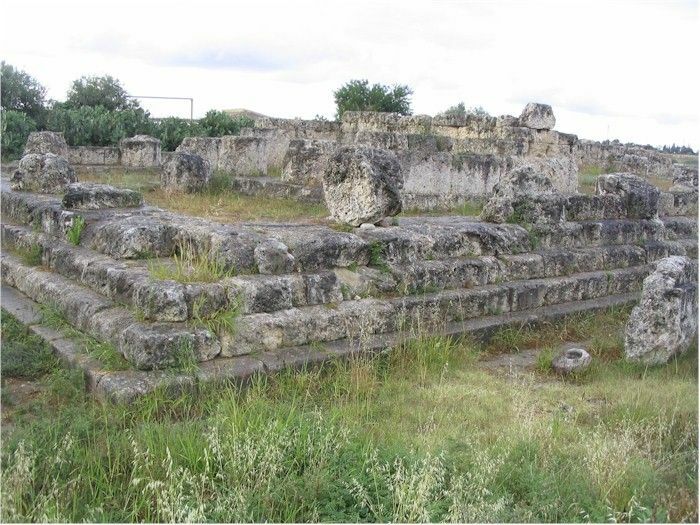 Himera’s ruins do not come to expectations compared to other archaeological remains. The Greek’s vestiges are within the borders of Termini Imerese. What can be outlined today is the remains of Tempio della Vittoria built in the Doric style. It is thought to have been constructed in honour for the victory over Carthage ( A hypothesis some scholars doubt about) This temple was destroyed by Hannibal. The town’s necropolis, situated to the south of the temple, is, at present, being excavated. 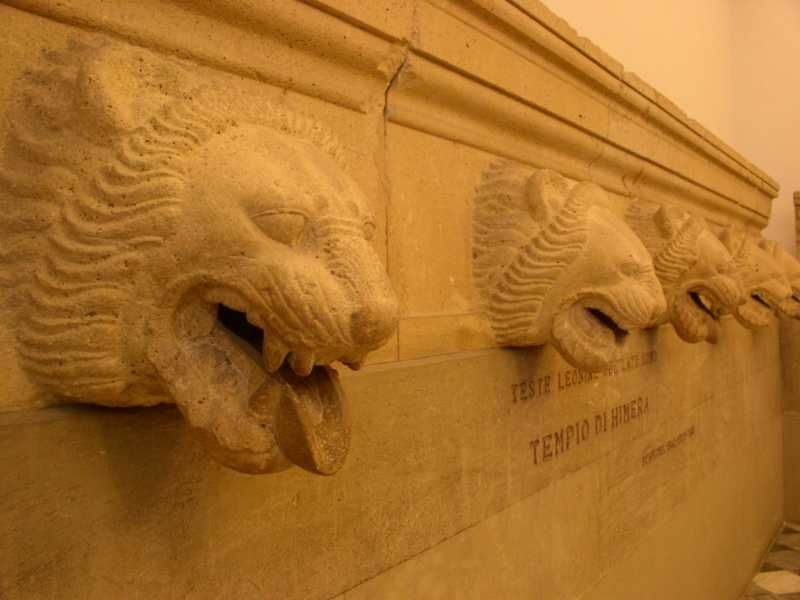 A small sized antiquarium, set 100 m away from the entrance, houses only some artefacts such as a sculpture of a lion head-shaped spouts (Picture 3) to make water flow down the temple’s roof as the most admirable pieces are in Museo Archeologico Regionale in Palermo. BY BUS: There are buses leaving from and arriving at Termini Imerese, 8 km away from Himera. BY TRAIN: it is the best way to get near Himera. The trains of the lines Palermo-Messina and Palermo-Agrigento call at Termini Imerese. Trains from Palermo leave every 20 minutes.